^ (Croatian and English) (PDF) Statistički ljetopis Grada Zagreba 2007.. (2007). ISSN 1330-3678. http://www1.zagreb.hr/zgstat/documents/Ljetopis%202007/STATISTICKI%20LJETOPIS%202007.pdf 2008年11月12日閲覧。. ^ "Census of Population, Households and Dwellings 2011, First Results by Settlements" . Statistical Reports (in Croatian and English) (Zagreb: Croatian Bureau of Statistics) (1441). June 2011. ISSN 1332-0297. Retrieved 2011-08-08. ^ "Census of Population, Households and Dwellings 2011, First Results by Settlements - City of Zagreb - Population by districts" (HTML). Statistical Reports (in Croatian and English) (Zagreb: Croatian Bureau of Statistics) (1441). June 2011. ISSN 1332-0297. Retrieved 2011-01-20. ^ （クロアチア語） “Vital Statistics in 2006”. First Release (City of Zagreb, City Institute for Urban Planning, Statistics Department). (2007-10-26). http://www.zagreb.hr/UserDocsImages/Vitalna%20statistika%20u%202006..doc 2008年8月29日閲覧。. ^ "Zagreb's facts and details". ^ "Legend about Zagreb". 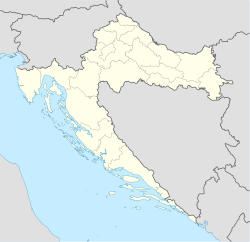 Croatian National Tourist Board. Retrieved on 2008-11-12. ^ "The Iranian origin of the Croats"
^ “Uskoro Samoborček i novi prigradski vlakovi” (Croatian) (PDF, 134 KB). 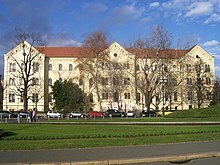 Zagrebački komunalni vjesnik (№ 362): 11. (2007-11-28). ISSN 1845-4968. http://193.198.60.202/komunalni/arhiva/362/str11.pdf 2008年7月31日閲覧。. ^ Autobusni kolodvor Zagreb: Vozni red. ZAGREBAČKI HOLDING d.o.o, abgerufen am 28. Juli 2012. Cresswell, Peterjon; Atkins, Ismay; Dunn, Lily (10 July 2006). Time Out Croatia (First ed.). London, Berkeley & Toronto: Time Out Group Ltd & Ebury Publishing, Random House Ltd. 20 Vauxhall Bridge Road, London SV1V 2SA. ISBN 978-1-904978-70-1. http://books.google.com/?id=VZweAAAACAAJ 2010年3月10日閲覧。.